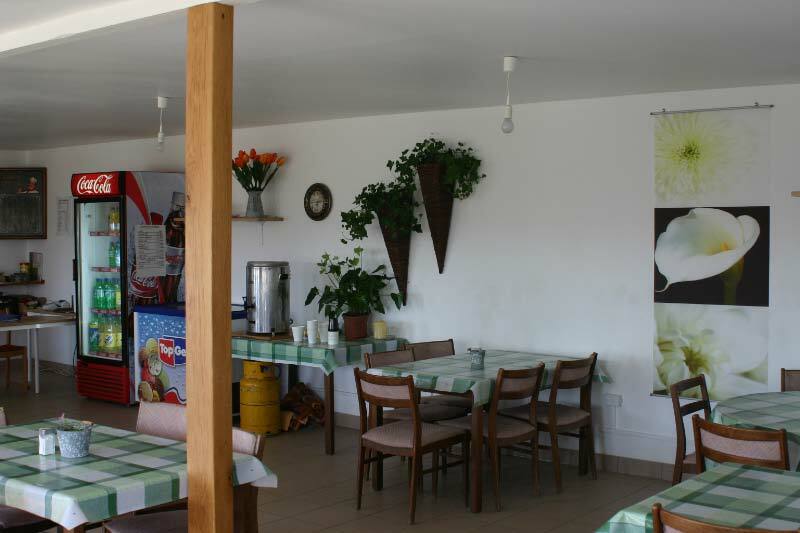 We have a 60-seat restaurant on site which offers simple food and drinks. 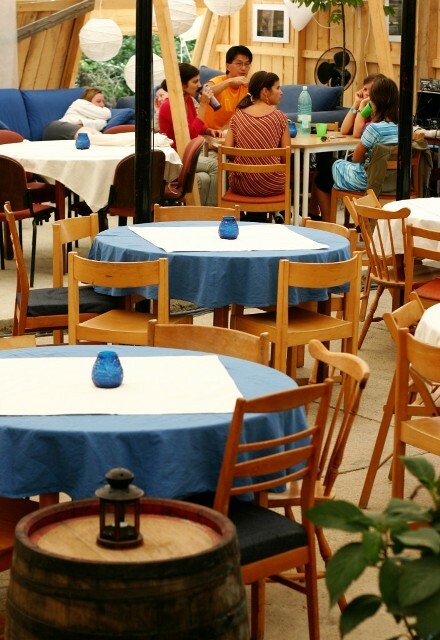 Outside there is a beautiful terrace with seating and umbrellas, creating a space perfect for any weather. 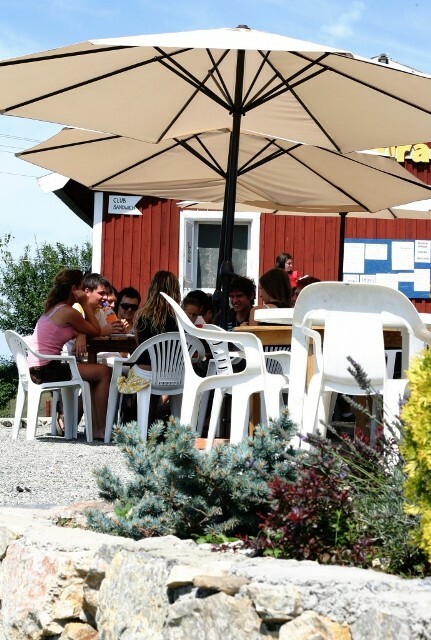 For groups, we have an area called the ‘Grajd’ (Cow Shed) which is big enough to hold around 160 people for daytime and evening meetings.